Ike roared through Texas, making landfall at the high end of Category Two on the Saffir-Simpson scale. Less than 24 hours earlier, forecasters thought it might come in as a Cat Four storm. The highest measurements of Ike's storm surge topped out at about 15 feet (although some un-measured areas may have been higher). Forecasters warned it might be twice that in some areas. Most of the homes in the first photo are gone, in this image taken after Ike departed. And a much-discussed National Weather Service bulletin, issued from Houston a day before landfall, warned of "certain death" for those who failed to evacuate the most vulnerable areas. While the death toll may rise as recovery teams move through the devastated beach towns, it's still surprisingly low given what could have been. It's small comfort to those who have lost loved ones, or homes, or those who may not see their power turned back on for a month - and those whose lives may never be the same again. But like Katrina - which was a Category Three storm that missed a direct hit on New Orleans - Ike could have been a lot worse. Either way, we're a little over halfway through the Atlantic hurricane season. Let's hope Ike is the worst we see all year. The suit wearing, Starbucks-sipping folks who usually populate downtown Houston on a workday are MIA this Monday morning. They have been replaced with crews using chain saws to move fallen trees out of the streets, and huge trucks hauling generators and cleanup materials. Julio Cisne, who manages a couple of buildings on Main Street, feels very fortunate. 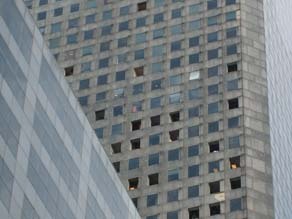 “I only lost two windows,” he said, as he swept up glass next to the Subway restaurant on the first floor. And he’s luckier than the huge majority in this hurricane-ravaged region - his buildings have both water and power. A few blocks away, three downtown workers are sharing stories and fears with each other. Marie Elizondo works for a law firm, and waited out the storm in a Houston high rise. While the building she was in fared pretty well, she and the people she hunkered down with witnessed some scary moments watching other buildings on the block. “We watched the glass pop out, then we saw chairs and computers just flying out the windows,” she said. Shattered glass continued to fall long after Ike departed. Mary Ann Shelvin and Marciano Leyba both have huge cleanups at home, but reported for work at Ampco System Parking. “My daughter kept asking, ‘Mom, what’s that?’ when she heard that wind whistling,” said Shelvin. But she is proud that people are helping each other out. “My neighborhood is trying to stick together,” she said. The people on her block have moved trees and swept up limbs and leaves. But a lot of trees are on top of houses, and virtually no one has power. Both Elizondo and Shelvin are grateful for the curfew imposed after the storm, to try to keep looters and sightseers from making a bad situation worse. “We all work too hard for our stuff,” said Shelvin. And they have seen many random, kind acts. A TV crew let Elizondo charge up her cell phone. A local furniture company gave away ice. It is a pleasant 71 degrees in Houston today… a welcome respite for people who probably won’t hear an air conditioner click on for weeks. It’s not every week we power up a machine and wonder about the speculations, however unwarranted, that a black hole will swallow the planet. On Wednesday morning, everyone was either utterly fascinated or fearful as the Large Hadron Collider, a $10 billion machine more expensive and powerful than any of its predecessors, started up for the first time. The hall for the ATLAS detector at the Large Hadron Collider. No wonder many science enthusiasts have a crush on the LHC, which has become a world-famous celebrity. Obviously, as an object of desire and supreme popularity, the LHC offers the best of both worlds: extreme money and extreme power. It’s also situated in a romantic location between Lake Geneva and the Jura Mountains. More importantly, it will teach us new things about ourselves and our world. It can look deep inside us and find secrets we never knew existed. And it has the potential to generate black holes, though most scientists agree any of those little cosmic vacuum-cleaners would disappear in less than a second without doing any harm. 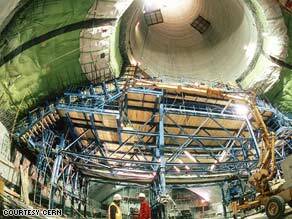 Yet the doomsday rumors somehow make the LHC seem even more attractive and awe-inspiring. We fear what we love, and we love what we fear. Among the potential perks of staying on top of the LHC's every move: a better understanding of matter. For instance, scientists think that the matter we know may only be a small percentage of what makes up the universe. Previous cosmological studies have inferred that most of the universe consists of invisible stuff called “dark matter” and “dark energy.” The NASA satellite WMAP has found that atoms make up only about 5 percent of the universe, while dark matter accounts for 23 percent and dark energy 72 percent. So, 95 percent of the stuff of the universe is invisible and completely mysterious. But our hero the LHC may be able to shed some light on that darkness. Of course, this celebrity icon hasn’t made a commitment to find anything. There is always the chance that, after billions and billions of particle collisions, nothing turns up. So now that the big start-up is over, we are left wondering, what now? For sure, we have the first attempt at colliding two beams, and the operation of the collider at unbelievable energy levels, to expect in the coming year. But will the LHC come through for us, or will it leave us broken-hearted, lost in a world we barely understand? With thousands of brilliant scientists from around the world working on this, there's hope that all of the heartache and waiting is worth it. What do you think? This week, our "Get Your Game On" video-gaming segment is about Blizzard Entertainment's "World of Warcraft," the wildly popular Massively Multiplayer Online (MMO) game that allows millions of players to interact with each other in an online fantasy world. 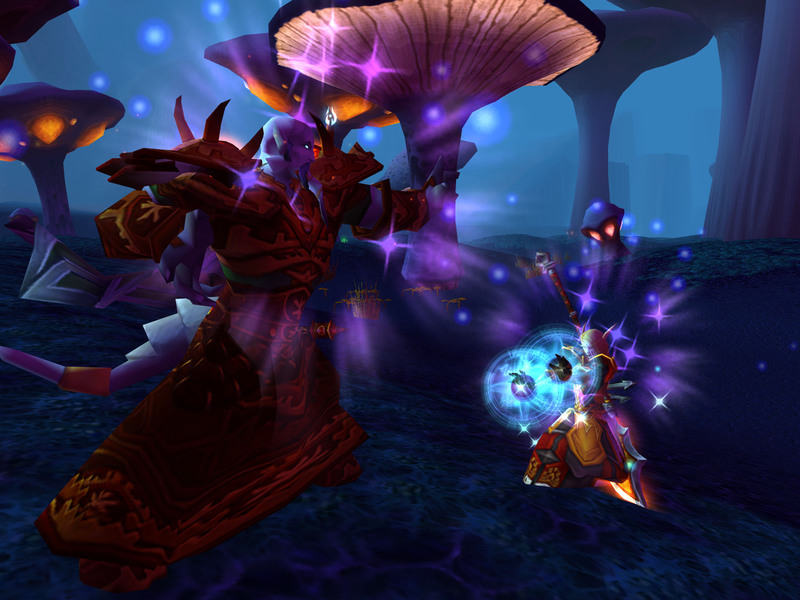 A scene from "The Burning Crusade," an expansion pack to the "World of Warcraft" online video game. Why are MMO games so popular? To a lot of people, playing games together with friends is much more fun than playing them alone. MMOs offer adventure and that sense of accomplishment you feel once you achieve a goal in the game. Sharing those things with your friends, as you join up to kill bosses and complete epic quests, makes those experiences so much better. And MMO's let you do that all online without having to be in the same place as your buddies. "World of Warcraft" is by far the most prominent and popular of all of the MMO games out there. There are people all over the world playing WoW because it is easy to get into, and the folks at Blizzard have created a huge amount of areas, quests, and dungeons for players to experience. They've also come up with a lot of creative in-game events that really make the world feel alive. For example, many real world holidays have in-game equivalents. Love is in the Air (Valentine's Day), Noblegarden (Easter), and Hallow's End (Halloween) all make the fantasy world more dynamic while adding some freshness to the game throughout the year. The community that has gathered around WoW is also very diverse, so it is always fun to meet new people in game. In the next few months Blizzard will release a new expansion for "World of Warcraft" called "Wrath of the Lich King" (WotLK). This will introduce all new quests, areas, and dungeons for us to explore, as well as a new type of character to play. There is a lot of anticipation in the WoW community for the expansion, and that is why I launched my new site, Project Lore (http://www.projectlore.com). We want to be in full stride when WotLK releases, bringing new content, videos, and guides to the WoW community. We are posting videos from the closed beta test of "Wrath of the Lich King" over the next three weeks, and we can't wait to see the response from the WoW community. 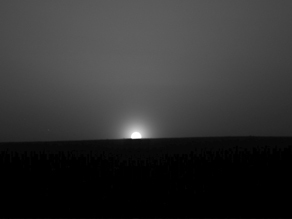 Check out this cool picture from the Phoenix Mars Lander of sunrise in the Martian Arctic. Scientists picked a landing location on the Arctic plains because data from orbiting Odyssey spacecraft indicated lots of water ice in the area, mostly in the form of permafrost. The researchers figured that would be a good place to look for organic chemicals in the dirt and ice. Up until now, Phoenix, which landed May 25, has been going about its business in the "land of the midnight sun" located deep inside the Martian Arctic Circle. But now there is a hint of autumn in the air. On August 21, the 86th day after Phoenix landed, the sun set for the first time this season - rising again about half an hour later. Now the days will get shorter and the nights longer until the sun finally sets for the season later this fall. NASA has extended the Phoenix Lander's mission through September, and will almost certainly do so again. Eventually, the cold and dark of winter will set in, ice sheets will advance, and Phoenix will die a frigid death - probably some time in November. IKE: Category Four, major storm, Max Sustained Winds 135 MPH, forward speed 13 mph. Ike is tearing through the Turks and Caicos and extreme southern Bahamas, with some potentially catastrophic collateral damage to Haiti from heavy rain, floods, and mudslides. Projected track of Hurricane Ike as of 11am ET Sunday, according to the National Hurricane Center. The storm is now expected to track the length of Cuba, including mountainous areas, that could really deflate the storm. But after exiting Cuba, Ike will re-intensify, and is expected to recover to Cat Three strength. All of the forecast models are within about fifty miles of each other for Ike's path across Cuba. The lower Florida Keys could see some impact from the storm on Tuesday, but are pretty much out of danger from a direct hit. The forecast models are a bit scattered on an ultimate US landfall, ranging from Galveston Bay/Houston to the west and Mobile Bay to the east. Earliest possible landfall, if the storm takes the shortest path and stays east, would be Thursday. Friday or Saturday is more likely, but as always, this is way too far out to make more than a guess for Ike's destination, arrival time, and intensity at landfall. Hanna is offshore, likely to impact Nova Scotia and Newfoundland today, and tracking to cross the ocean and possibly cause a bit of grief in Scotland/Northern Europe later this week, but its US impacts are done. Josephine is off the maps completely, now a mid-Atlantic disturbance posing no threat to land. So far, online reaction to Google's new Chrome browser - launched in a beta version Tuesday - has been mostly positive. “Google Chrome has the ability to change the market as we know it. . .they have finally delivered what might be the perfect end all of the browser wars," wrote Loren Baker, editor of Search Engine Journal. Google employee Matt Cutts, who writes a popular blog about tech issues, has fielded some complaints about Chrome, ranging from the lack of add-ons to concerns over privacy. 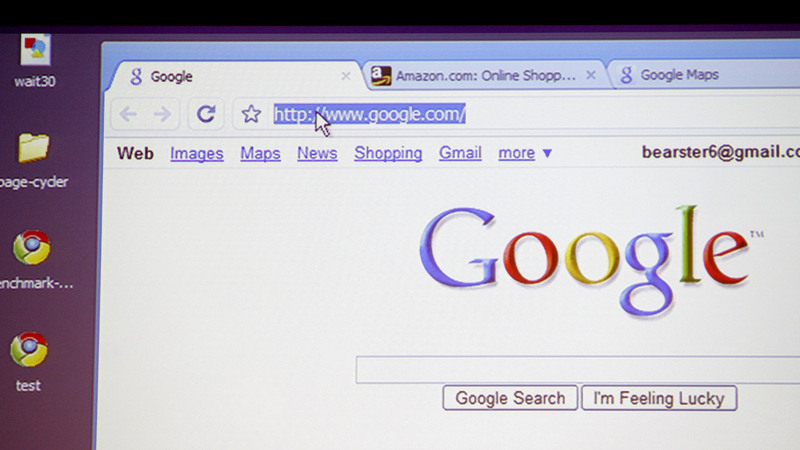 Some people fear that Chrome will collect personal information about users and share it with google.com. Cutts believes that will not happen. "I knew that as soon as Google Chrome launched, some readers would ask tough questions about privacy and how/when Google Chrome communicates with google.com," he wrote. "I talked to the Chrome team to find out if there’s anything to worry about. The short answer is no." Google has set up a Chrome discussion group to answer users' questions about the browser. Most people surfing the web use Microsoft’s Internet Explorer, and it may seem odd that Google, a company best known for its ubiquitous search engine, would release a competing product. But Google also sees Chrome as a way to complement its online applications, like gmail and Google Docs. In the opinion of Topher Kohan, who analyzes search-engine results for CNN.com, Google got all of that right. Chrome loads pages quickly and seems very stable for a beta, or prerelease, version. The browser puts tabs on top of the window, not under the address bar like IE and Firefox. Early numbers indicate Chrome is already being used by more than 2.7 percent of Web surfers (Internet Explorer is used by 62 percent of surfers and Mozilla’s Firefox by 28 percent). The downside is that Chrome does not support a lot of third-party add-ons yet, although Google says that it will in future versions. Chrome only runs on Windows at this time, confounding many Apple users, but a Mac and Linux version are supposedly in the works. Our verdict? Is Chrome fast? Yes, very. And it runs Web applications very well. Is it ready to be your everyday web-surfing tool? Not unless you are into being on the cutting edge, and most web surfers are not. That said, there is a good chance that someday in the near future this is the browser we all will be using. The good news? Josephine is well out in the mid-Atlantic, and if its track holds, it will stay there. The wobbly path of Tropical Storm Hanna continues, and as of 11am ET Thursday, the best guess of the National Hurricane Center is that the storm will strengthen to a Category One hurricane and make landfall, perhaps near Wilmington, North Carolina, at about midnight Friday. Hanna could spread its damage all the way up the US East Coast as it tracks toward the northeast. Hurricane Ike could be a big one. It strengthened from a Category One to Category Four storm in less than half a day yesterday, and its current track could bring it into south Florida on Tuesday as a Cat Three. Ike's entry into the Gulf of Mexico is still a strong possibility. One reason for the projected weakening of the storm is that Hanna could steal some of Ike's thunder (and winds, and rain), according to CNN Meteorologist Rob Marciano: Tropical systems stir up deeper, colder water, and some of the ruckus that Hanna has caused. As Ike passes over that cooler surface water, it could be weakened just a bit. 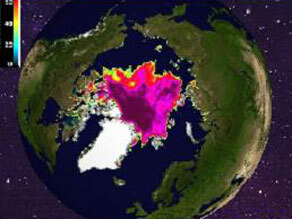 September marks the time of year when polar ice cover is at its lowest. After last year's record low, Arctic researchers say we're in for another bad year – and what is perhaps an irreversible trend. On Tuesday, scientists reported another Manhattan-Island-sized chunk broke off an Ice Shelf on Ellesmere Island in the Canadian Arctic. a University of Illinois site allows you to bring the out-of-sight/out-of-mind Arctic to your desktop. If you want to track the day-by-day status of the Arctic ice cap, and compare it to past years, go here. The images, from the Illinois Polar Research Group, track Arctic ice coverage day by day back to 1979. See for yourself, and let us know what you think. Also - more tomorrow on our parade of hurricanes across the Atlantic: Hanna looks to have uncertain potential for East Coast damage; Josephine hopefully will remain a mid-Atlantic storm and not reach land; but Ike could be a big one for the Gulf of Mexico.